Bermondsey is situated on the south bank of the River Thames in the London Borough of Southwark and is one of the capital’s most up-and-coming areas, with an array of new property developments and additions to the growing social scene meaning it is greatly appealing to flat and house hunters. Having been renovated in the 1980s after sitting derelict for several decades and with continued regeneration since, Bermondsey now has an array of new homes, bars, cafes, pubs, restaurants and coffee houses. Despite once being home to London's first railway, station closures and the reorganisation of train lines meant Bermondsey was cut adrift from the main transport network, but today the area is fully connected with the City and the rest of London thanks to the opening of Bermondsey tube station on the Jubilee Line and the over-ground East London Line. Hailed as ‘the new Hoxton’, populated by students and young professionals drawn to its vibrant cultural scene, Bermondsey is right up there with the trendiest locations in London. With the arrival of celebrity residents keen to make the most of the area’s abundance of creative industries, property developers have spotted an opportunity to offer stylish flats to rent in Bermondsey, with most pieces of spare land earmarked for future development. 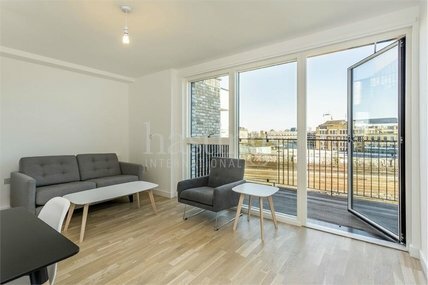 For those looking for property in Bermondsey with period features, the Dickensian warehouses such as The Jam Factory and those around Shad Thames and Butler’s Wharf certainly fit the bill. These areas are serviced by fancy restaurants, delis and the Design Museum, bought by Terence Conran in the 1980s as a way to boost what was then a crumbling neighbourhood. The latest major development is Bermondsey Spa, a vast regeneration scheme between Spa Road and Jamaica Road, which will ultimately see the construction of more than 2,000 new homes. A joint venture between Southwark Council and the Hyde Group, the development will create two new health centres, an NHS dental practice, pharmacy, youth and play facilities, re-landscaped open space, shops and new council offices. There is a selection of nurseries within the Bermondsey area including Bermondsey Community Nursery in the heart of Shad Thames, Matilda Community Day Nursery close to St Katharine Docks in Wapping, The Playshelter which is Ofsted registered and Kintore Way Childrens Centre on Grange Road. Primary schools consist of Tower Bridge Primary School, St Joseph's Roman Catholic Primary School, Snowsfields Primary School, St James' Church of England Primary School and Hermitage Primary School. Secondary schools include St Michael's Catholic College on Llewellyn Street, Drummond Road is home to Compass School Southwark, and there are two schools for girls in Harris Academy Bermondsey and St Saviour's and St Olave's Church of England School. The regeneration process of Bermondsey Spa began in October 2000 through the partnership of the Hyde Group and Southwark Council. Completed in January 2013, the regeneration created over 2,000 new homes with more than 40% being affordable housing, 16 GP surgeries in two new health centres along with a new NHS dental practice and a pharmacy. The regeneration also created new youth and play facilities, 2.5 hectares of re-landscaped open space and secure bicycle parks, along with new council offices, a One Stop Shop among other shops including a food retail store and new offices for the Southwark Primary Care Trust. The development of Bermondsey Square was completed in 2008 and delivered by Igloo Regeneration in partnership with Southwark Council, the London Development Agency and the local community as part of a holistic economic, social, environmental and physical intervention. The development has created 76 apartments comprising 2 studios, 36 one bed, 30 two bed and 8 three bed. There is 35,000 square feet of offices, a 79 bed boutique hotel with associated facilities, a 55 seat Art House Cinema, a Sainsbury’s and 6,000 square feet of retail units. One of Southwark’s oldest districts, Bermondsey is said to have been owned by William the Conqueror in the ancient Domesday Book of 1086. Its name is derived from Old English for ‘Beormund's Island’ and much of its importance is down to its close proximity to the docks where a great deal of food was stored and processed, which is how it earned the nickname ‘London's Larder’. The leather industry began to establish itself during medieval times, since the freshwater tidal streams were ideal for tanners. Despite the industry initially being seen as a threat by the City of London, which frequently tried to restrict the sale of goods, by the late 18th century a third of the country’s leather came from Bermondsey. The industry began to decline in the following century, however, as companies moved nearer to the northern ports. In recent times, the area dubbed 'Bermondsey Village' on Bermondsey Street has seen an upsurge in artistic and commercial activity with an influx of trendy bars and restaurants such as Village East, The Bermondsey Kitchen and the Delfina Studio Cafe. Other Bermondsey Street highlights include the excellent Bermondsey Street Coffee, a traditional English pub in the form of The Woolpack and The Garrison, a beacon for many a London bohemian. The Fashion and Textile Museum is a focal point on Bermondsey Street – the area’s heartbeat – and there are also a small number of art galleries close by. On the site of Bermondsey Abbey is the newly revamped Bermondsey Square which is home to the New Caledonian Antiques Market. This market has ensured that there are several antiques shops and warehouses in the vicinity. One the horizon, quite literally, is The Shard which stands as Europe’s highest skyscraper, with other attractions including HMS Belfast, the bustling Borough Market and the Brunel Museum. There are a number of local pubs within Bermondsey, including the newly revamped Bunch of Grapes situated a few minutes’ walk from London Bridge Station, along with Hand & Marigold on Bermondsey Street which offers traditional pub food with a variety of beers, wines and spirits. Other nearby pubs include Marquis of Wellington, Simon the Tanner, Suchard Pub, The Britannia, The Hartley and The Hide Bar, which is home to some of London’s best cocktails. Bermondsey has a large and diverse selection of restaurants: Magdalen serves traditional, classic and seasonal dishes; Tentazioni’s chef Riccardo Giacomini’s style is contemporary Italian; and Champor-Champor offers a unique Asian dining experience of Thai-Malay cuisine. In the heart of Bermondsey lays Constancia, which serves typical Argentine flavours, and Hutong on Thomas Street serves up the diverse cuisines of Northern China. Following the redevelopment of Bermondsey Square there is a weekly Antiques Market which holds many much loved second-hand and historic objects, traditionally china, silver, furniture and glassware. Old Kent Road has the largest number of shops in the area, including hair, beauty & nail salons, gift shops, booksellers, take away food shops, dry cleaners, internet cafes, off-licences and a Lidl. To find out more about what this area has to offer, including further information on our range of Bermondsey property, feel free to contact our Bermondsey estate agents office on 020 7378 9000. Receive an expert valuation within 24 business hours. Fill in your email and we'll send you a link to reset your password within 24 hours. Need to report a maintenance problem?